Lovely sounding and inexpensive DAC from Beresford modified to super-fi standards with new Wolfson DAC, new op-amps and new capacitors. Black gate electrolytics added in the output filter section. What a difference! The sonic benefits speak for themselves with added clarity, much improved imaging and simply more detail. 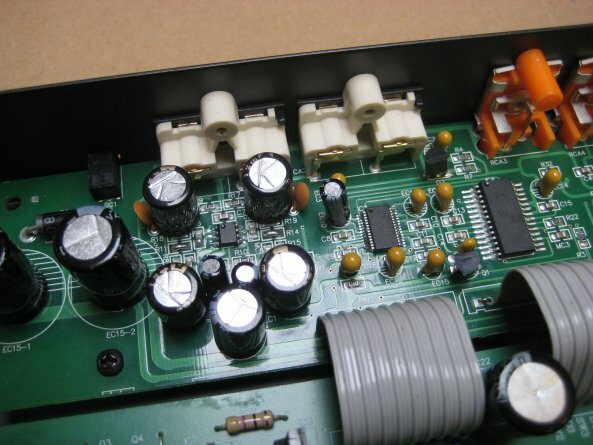 The customer asked us to upgrade his newly acquired TC-7520 in the same manner, and the improvement in sound was excellent too. 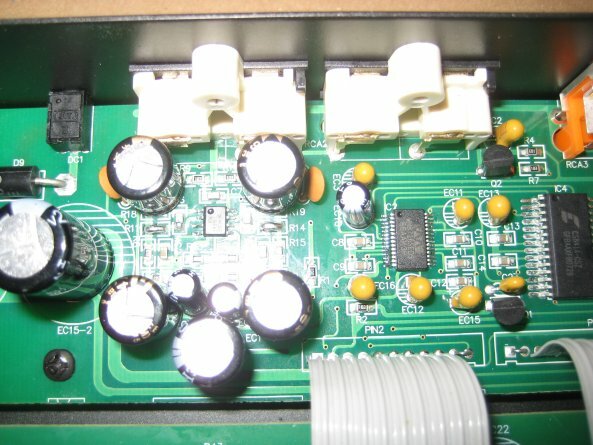 A worthwhile upgrade to an already excellent DAC. 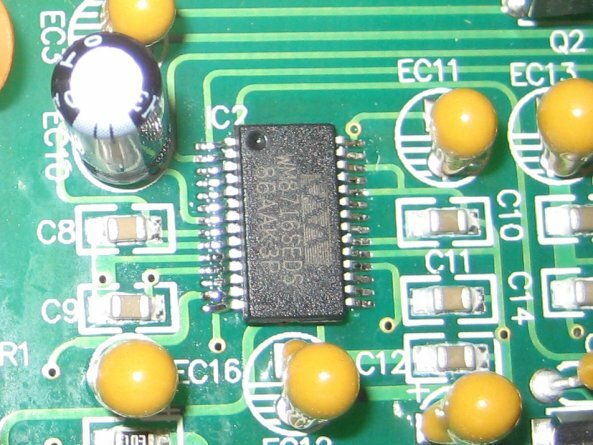 Close-up of the DAC and replaced output op-amp. 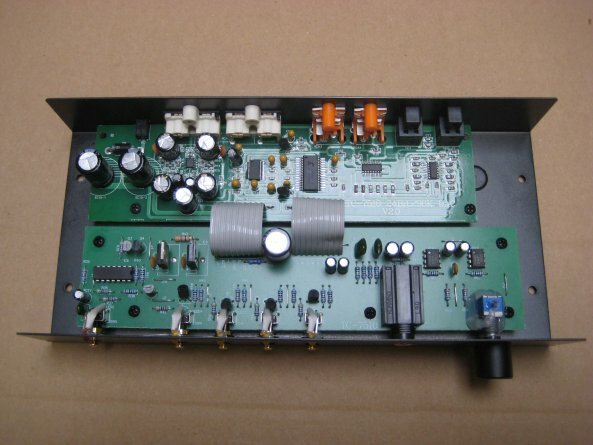 The original PCM1716 DAC chip was replaced with a high quality Wolsfon WM8716, and the bog standard LM4556 op-amp was upgraded to National Semiconductor's exquisite LM4562. The four electrolytics were replaced with Black Gate types. The sonic improvements spoke for themselves!